A: According to East Asian Medicine, the insertion of an acupuncture needle affects the energy of the body or "qi." The needles are inserted at points on the channels of the body that contain qi. Modern research has demonstrated clear effects of acupuncture on the neurology of the body. Acupuncture helps to reduce pain, reduce inflammation, modulate activity of the brain, regulate hormones, and boost the immune system. All these effects help the body recover from a variety of health effects. To learn more about how acupuncture works, CLICK the PICTURE, and check out the What is Acupuncture? page. A: In general, acupuncture is a painless experience. The acupuncture needles are very small (usually 32 to 36 gauge), making the sensation of the needle entering your skin light or nonexistent. The patient can experience a wide range of symptoms when the needles are in the skin, including no sensation at all to a pinch, prick, or some aching. Some places on the body can be more prone to sensation and some people can be more sensitive to needling. Just because you are anxious about needles DOES NOT mean you will be sensitive to needles. Getting acupuncture is very different than getting a shot or having blood drawn. Try acupuncture and experience the lack of sensation before writing off any beneficial health effects you may experience with acupuncture treatment. A: There are a number of sensations that can occur during acupuncture treatment. Most of the time, patients do not feel anything when the needles are inserted. Sometimes there can be a prick or pinch. Often, there is an aching sensation after the needles have been placed- this is a good indication that the needles are stimulating the nerves underlying the skin. On rare occasions, more painful sensations such as burning or sharp pain (like a bee sting) are felt. Q: what should I expect from my first acupuncture treatment? A: If you have not completed your health history paperwork, please arrive 30 minutes prior to your first appointment. It is best if you wear loose comfortable clothing for your acupuncture treatment so the clothes can be moved or removed to reach the acupuncture points. Gowns are available if you choose to wear one during the treatment. Depending on the condition being treated, clothing may need to be removed to reach important acupuncture points. Upon arriving at Skamania Acupuncture Clinic, you'll be taken into the exam office where initial questioning and examination will take place. Health questions regarding the history of your condition and your general health history will be asked. General physical exam will be performed (vitals, body observations, etc. ), along with any special exams related to your health condition. Following questioning and exam, Tom will go over your findings and discuss the application of acupuncture and East Asian medical modalities to your condition. A treatment plan will also be established and discussed. After your report of findings, you will have your first acupuncture treatment! Q: Do you have to believe in acupuncture to have it work? A: No, your belief, or lack of belief, in acupuncture has no bearing on your results. Acupuncture has specific effects on the neurology of the body and your beliefs regarding acupuncture will not affect how the needles affect your nerves. Now, there is research that shows that individuals who have a more positive attitude about their healthcare will have better treatment outcomes. If you are more confident that acupuncture will benefit your health, your chances of improvement are increased. An opposite reaction can occur if you are anxious about treatment. There are hormones in your body that increase when you are anxious, and these hormones can affect some of the pain relieving effects of acupuncture. Try to go to your acupuncture appointments confident that you are in control of your health and that you will overcome your health obstacle. Health is a journey, not a destination. A: Yes, acupuncture is very safe when performed by licensed acupuncturists with adequate training. If you have heard any horror stories about acupuncture being dangerous, these cases often involve individuals who do not have proper training or had notable personal/ ethical issues. In the United States, and more specifically Washington, acupuncture is regulated by state boards (for Washington's board see http://www.doh.wa.gov/LicensesPermitsandCertificates/ProfessionsNewReneworUpdate/EastAsianMedicinePractitioner). Whether you see Tom or another acupuncturist, it is important that you see a licensed acupuncturist with the proper training to avoid injury. Other health professionals in some states are allowed to perform acupuncture with minimal training (anywhere from 100-300 hour courses). Acupuncturists receive close to 1000+ hours of training and clinical time working specifically with the safe application of acupuncture needles. It is deeply concerning to acupuncturists that other professionals, aside from acupuncturists, use acupuncture without enough training. Acupuncture has risks of injury when not applied appropriately, injuries that usually do not occur with trained, experienced acupuncturists. A: This depends on a number of factors including a patient's age, general health status, and the condition being treated. There is no absolute way to predict the number of treatments you will need to feel better. Some patients have results in a few treatments, while others need long-term acupuncture care. At minimum, you should expect to have 2-4 visits before you see any improvements and up to 8-10 visits before major results start to set in. Q: what if i have a hard time with the needles? A: If you have a needle phobia or are very anxious before your first treatment, it may be best to try other East Asian Medicine modalities first before acupuncture. We can try electrical stimulation, cupping, gua sha, herbs, or massage instead of needles, until you are more comfortable with the idea of acupuncture. Q: how many needles are used? A: It depends on the condition, anywhere from 4 needles to 30 needles. A: YES! All acupuncture needles used are sterilized during their manufacturing process and then sealed in sterile packaging. Once a needle is used, it is disposed of in a sharps disposal container never to be used again. In the past, acupuncture needles were sterilized in an autoclave, leading to wearing down and breaking of needles. That is no longer an issue, as all needles used now are one-time-use and presterilized. A: Yes- children respond very well (and quickly) to acupuncture treatment. Depending on the child's age and the condition being treated, different (smaller) needles and treatment modalities are used. Pediatric acupuncture is used to treat a variety of conditions including behavior problems, immune system conditions, growing aches and pains, digestion issues, asthma/ allergies, and bedwetting. A: Yes- here in Washington, Acupuncture is an ESSENTIAL HEALTH BENEFIT. This means that if you have insurance from a plan purchased in Washington after 2014, you may have coverage for your acupuncture treatments. 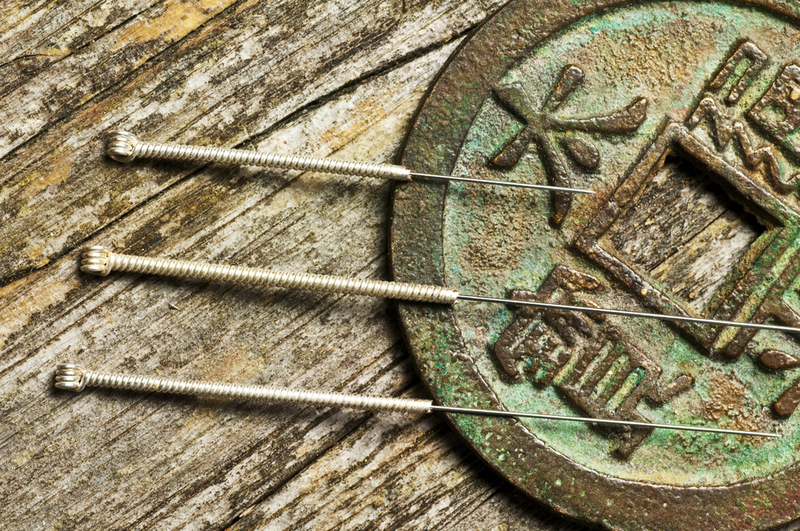 The following Insurance Companies have plans that cover acupuncture: AETNA, AXIS, CHP GROUP, CIGNA, FIRST CHOICE, LIFEWISE, MULTIPLAN, PROVIDENCE, PACIFIC COURSE, PREMERA, REGENCE BLUE CROSS/ BLUE SHIELD & WHOLE-HEALTH NETWORK. Prior to your first appointment, please contact Skamania Acupuncture Clinic with your health insurance information, and we can complete an acupuncture benefit verification for you, free of charge! Q: are there side effects of acupuncture? A: Aside from feeling good, there are few side effects of acupuncture treatment. Sometimes, people experience an "acupuncture high," which is a result of the endorphins released during acupuncture treatment. This acupuncture high may leave you feeling dizzy, woozy, and unbalanced for a little while after treatment. This is part of the beneficial effects of acupuncture in reducing pain, but may be unnerving the first time you experience it. A: It depends- if you are taking Chinese herbs prescribed to you from a licensed acupuncturist/ herbalist with proficient training in Chinese medicine, taking Chinese herbs can be very safe. However, trying Chinese herbs that are not prescribed to you may lead to a variety of side effects, some which can be dangerous. It is important to make sure that if you are going to take Chinese herbs that you only take what is prescribed by a reputable, licensed professional who sells herbs from a reputable source. Tom only prescribes and sells herbs that meet the highest international standards for safety and cleanliness. Q: how do i prepare before my treatment? A: Make sure you have eaten a meal prior to acupuncture and are not dehydrated. Wear loose comfortable clothes that can be moved or removed to access acupuncture points that may be covered by clothing. Q: what is community acupuncture? A: Community acupuncture is a movement within the acupuncture industry by some individuals who wish to provide affordable treatments to a wide range of patients. Treatments are provided in a community room (with no privacy) and with the acupuncturist treating multiple patients at one time. These treatments may not always be thorough, depending on the condition being treated. At Skamania Acupuncture Clinic, we have a similar "Big Healing Room" setting with three recliner chairs, but we DO NOT practice Community style acupuncture. Q: What if I am Sick? A: Do not skip your acupuncture treatment because you have a cold or the flu. Acupuncture and associated modalities can be effective in giving your immune system a boost to eliminate the virus and the duration of your illness can be reduced. Unless you cannot get to the clinic safely (say you cannot drive to the clinic), keep your appointment and let's knock out that cold!